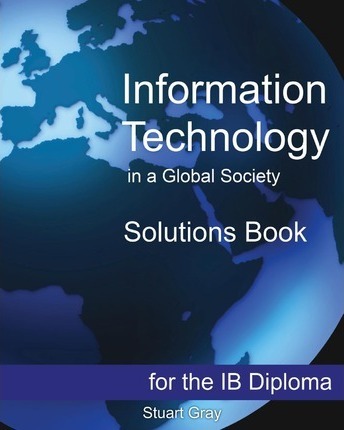 Information Technology in a Global Society is the first textbook written specifically for the new IB ITGS syllabus (first exams May 2012), covering IT systems, social impacts and ethical issues, and each area of application. This teacher's solutions book contains marking schemes and rubrics for all of the exercises from the textbook - over 200 in all. Stuart Gray has been teaching in international schools for ten years. He has extensive experience of teaching the IB Information Technology in a Global Society course with a variety of students, including second language learners. In Tanzania he was responsible for planning and implementing the ITGS course for the school's first intake of IB students. He has been an IB examiner and currently works at Academia Britanica Cuscatleca in El Salvador.